Fast action progressive casting styles mean pushing for the limits of performance in modern day fly fishing. 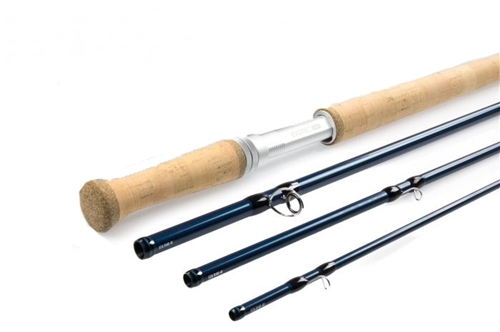 Finished in deep pearlised blue, CAST Fast rods are available in single-handed models for both fresh and saltwater fishing and double-handed models for the pursuit of anadromous fish. Each model benefits from AAA grade cork, titanium stripping guides, hard chrome snake rings and our aesthetic triangular reel seat. Ultra performance carbon fiber and excellent tip recovery comes as standard. CAST Fast rods deliver flies quickly to the taking zone without compromising on the positive ‘feel’ response that anglers have come to expect from LOOP fly rods. These models will accurately present flies at distance with both power and finesse to an extensive range of species.